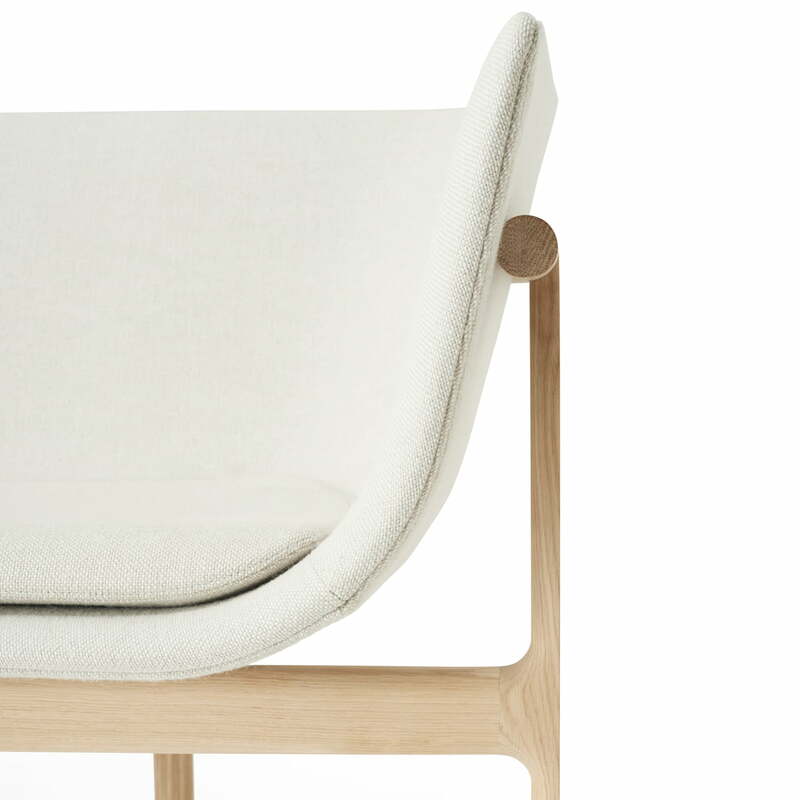 The designer Rui Alves, born in Portugal, created the Tailor Lounge sofa for Menu. 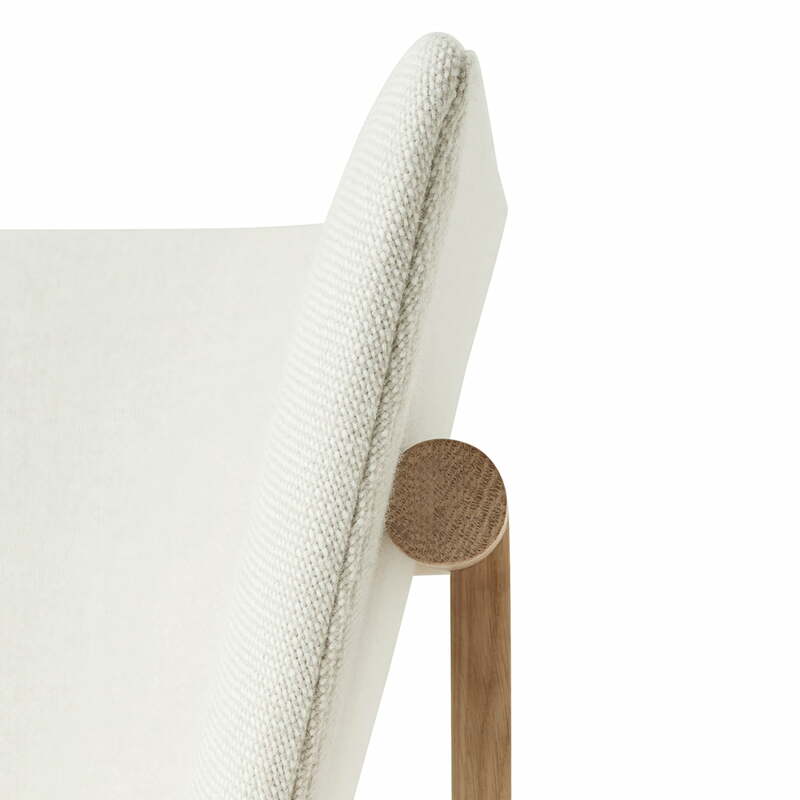 The frame and legs of the sofa are made of oak and support the padded, shell-shaped seat. 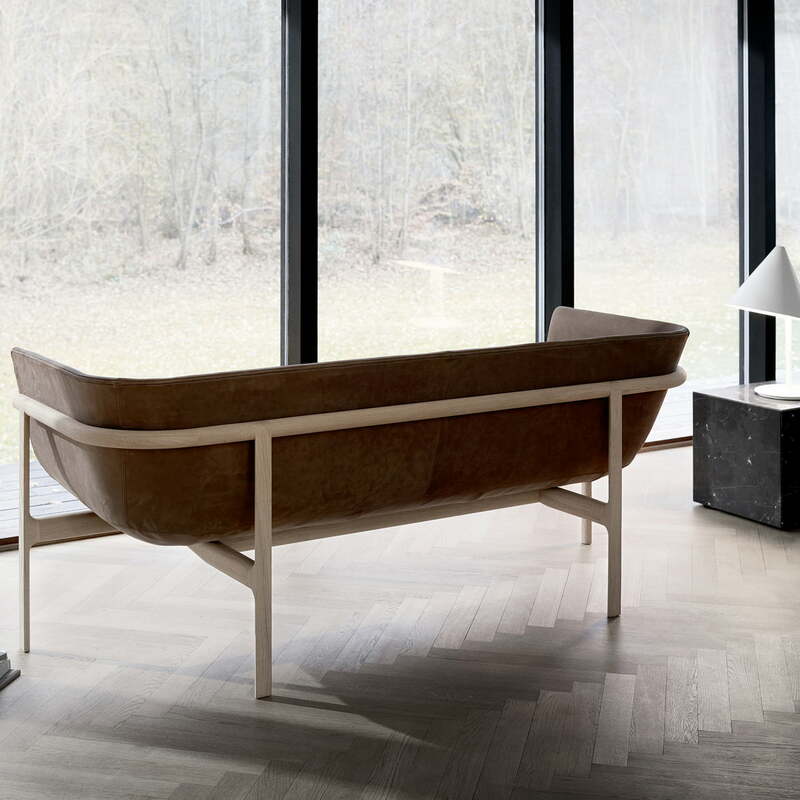 Everything about the 3-seater sofa feels open and light because no material is hidden. 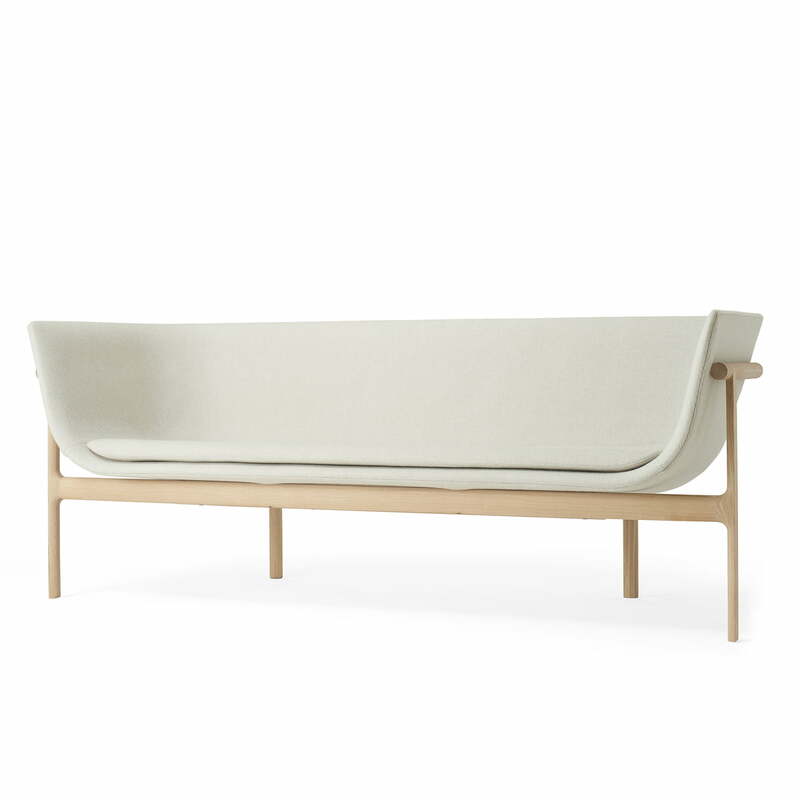 The sofa by Rui Alves was based on his past. He grew up in a family of craftsmen and was especially inspired by his grandfather’s tailoring business. The thin wooden beams at the back envelop the rounded shape of the sofa and contribute to the all-around outstanding design. The sofa is especially suitable for commercial areas. The practical Tailor Lounge sofa is available in different colored upholstery. A leather cover is also available. The Tailor Lounge produced by Menu has the shape of a large, open shell. The thin sofa legs are made of oak, while the shell-shaped seat consists of light-grey upholstery. The detail view of the Menu Tailor Lounge sofa emphasizes the harmonious composition of the round, bright seat with the straight, rectangular wooden legs. 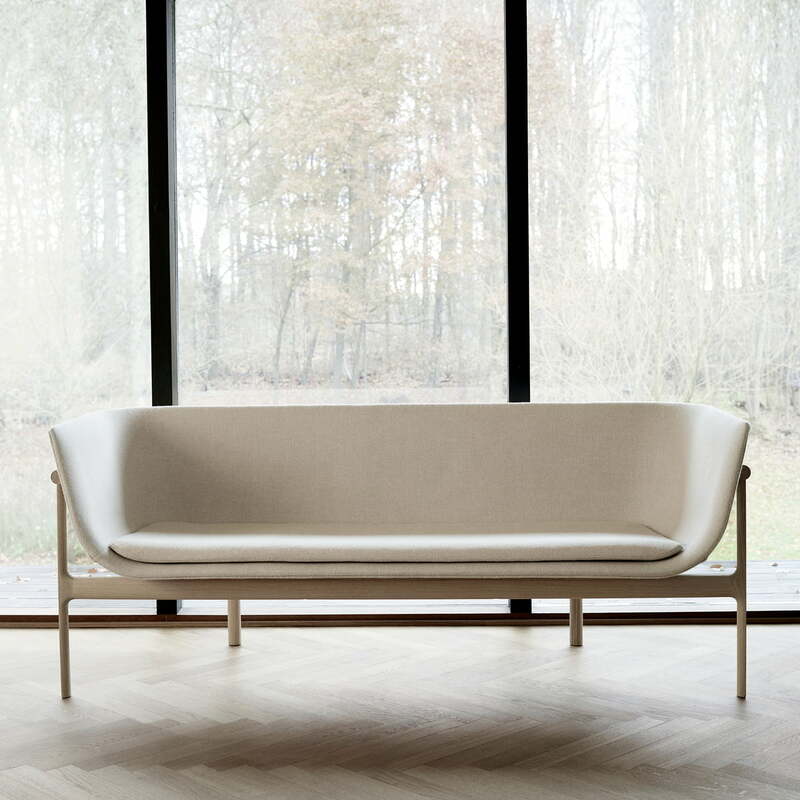 The Tailor Lounge Sofa by Menu looks particularly elegant in front of a large window. With the light and the bright colors, the couch is an attractive design piece. 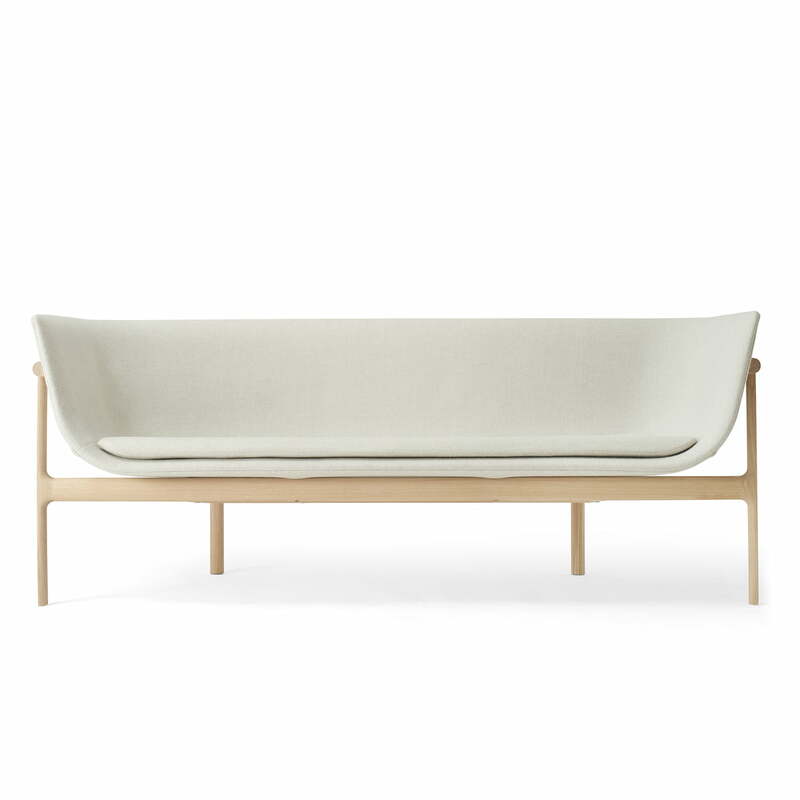 The Tailor Lounge sofa by Menu is a piece worth seeing from the front as well as the back. The round couch is the ideal place to enjoy the view from the window.